This is the little church up our lane. Plenty of gravestones, plenty of memento mori. 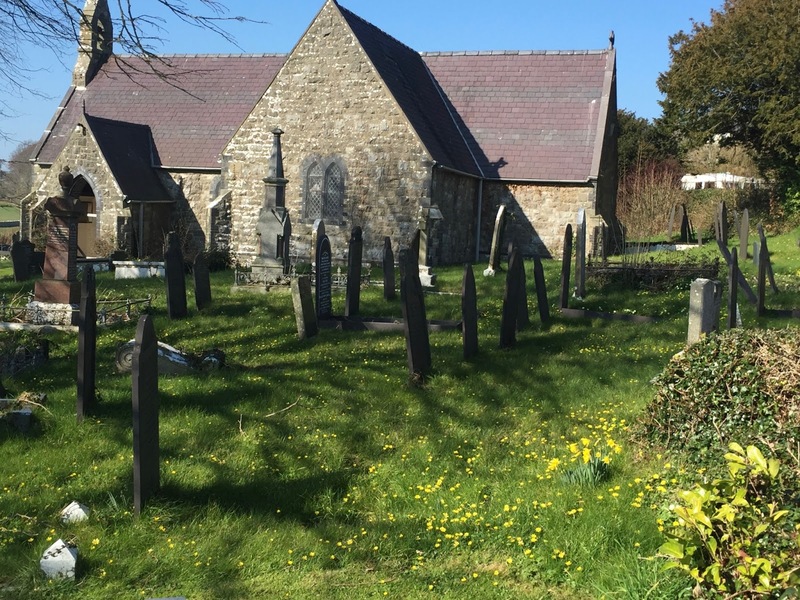 The churchyard is gearing up for its full-on spring burstings of celandines and primroses, and of course some daffs too. What, I hope you will soon be asking, has the coming of spring to do with this photo of our kitchen stove? So how best to live with the inevitable sadness of our human mortality? How to live with the impossibility, the raging unfairness and seemingly impossible fact of our extinction (to put it bluntly.) How - why - should we "put up with" the fact that it all comes to an end? 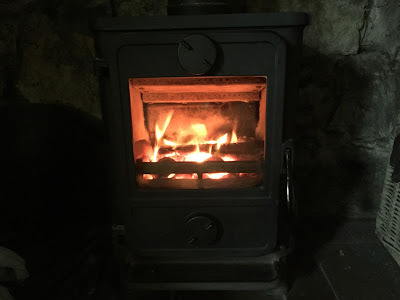 So after walking up the lane and mementoing a spot of the mori, whilst at the same time enjoying the early spring springing, I sit down by the kitchen stove. I'll just be with the fire, look at the flames and think of nothing much. Immensely calming. The fire is busy transforming substance into energy, heat and light. Feels lovely, looks lovely, feels...right. Part of me and my life. It's what the sun is busy doing, every star, the entire universe. Transforming, changing. If it didn't do that, nothing - you, me, the moons of Jupiter, the cat, daffodils - nothing would exist. So yet again, feeling the reality of constant change as what life is, helps me with accepting mortality as what life is. This isn't so much an act of will or analysis, as it is the product of a sort of meditative state, I guess. Just being with it all, on its own terms, not mine. It all feels right. Spring, gravestones, primroses - and the fire in the stove. Hope spring offers you some lovely moments, as the seasons' wheel turns, wherever you are. Is home wherever you lay your hat?